We have provided below a summary of the training course we provide for each of the various Adobe software products. Click the relevant “Course Outline” button for more details on the scope of each particular course, or see our Adobe Training Courses Calendar for current scheduled courses. All courses can be undertaken in a One On One format, over a 6 hour day. Dates are by negotiation and the training can be onsite or in our training rooms. Computer Smart offer a 1 or 2 Day training class on Adobe Acrobat – all versions. At the completion of this course you should be able to: start Acrobat, open PDFs and have a basic understanding of the interface, create PDFs, select and edit content in a PDF, create PDF forms, bookmark, links, work collaboratively and add security. Adobe InDesign is a software application produced by Adobe Systems. It can be used to create works such as posters, flyers, brochures, magazines, newspapers and books. Computer Smart offer a 1 or 2 Day training class on all versions of Adobe InDesign. At the completion of this course you should be able to: understand basic graphic design principles, create new publications, add and format text to a document, add graphics, create layers, apply colour and prepare for print. Adobe Dreamweaver (formerly Macromedia Dreamweaver) is a web development application originally created by Macromedia, and now developed by Adobe Systems. Computer Smart offer a 1 or 2 day training course for Dreamweaver. This training course is primarily designed for people who need to know how to use Dreamweaver to create and maintain websites. At the completion of this courseware participants will be a ble to: create a website, create and edit CSS rules and apply them to text, insert images, create hyperlinks, create tables, add meta tags, manage and publish your website. Adobe Illustrator is a vector graphics editor developed and marketed by Adobe Systems. Illustrator is similar in scope, intended market, and functionality to its competitors, CorelDraw, Xara Designer Pro and Macromedia FreeHand. Computer Smart offer a 1 or 2 day training course for Illustrator in all versions. Adobe Illustrator is an illustration and drawing program designed for users who specifically want to learn how to create vector based graphics for design, web design or desktop publishing material. Adobe Illustrator training assumes little or no knowledge of the software. Adobe Photoshop is a graphics editing program developed and published by Adobe Systems. Computer Smart offer a 1 or 2 day training course for Adobe Photoshop in all versions. 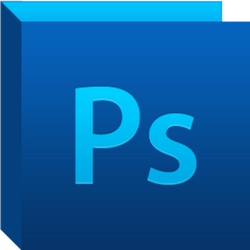 Includes the Palette Dock; the Toolbox; File Formats and sizing; Transforming Images; Tonality and the Histogram Palette; Retouching and repairing images; Layer Basics; Making Selections; Text Essentials; Printing images.